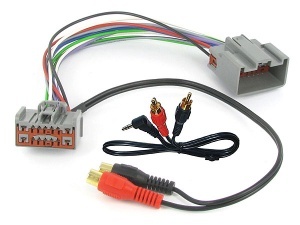 Volvo AUX input adapters and AUX cables for Volvo XC90 S40 V50 C70 C30 etc. Connect iPod, iPhone, iPad, MP3 players and more via RCA phono or 3.5mm jack lead. 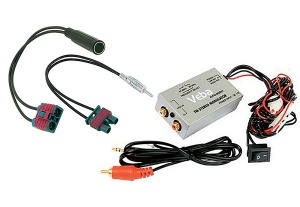 Choose from the following Volvo AUX adapters. Volvo aux adapter for Volvo XC90 S40 V50 C70 and C30. Connect any iPod, iPhone, mobile phone, MP3 player etc. to the factory fitted OEM radio in your Volvo. For Volvo models 2004 onwards with head unit with AUX function. Full details inside.